Our facilities make a great place to host Birthday parties for all age groups. We offer covered picnic areas, kids play areas, and public restrooms. 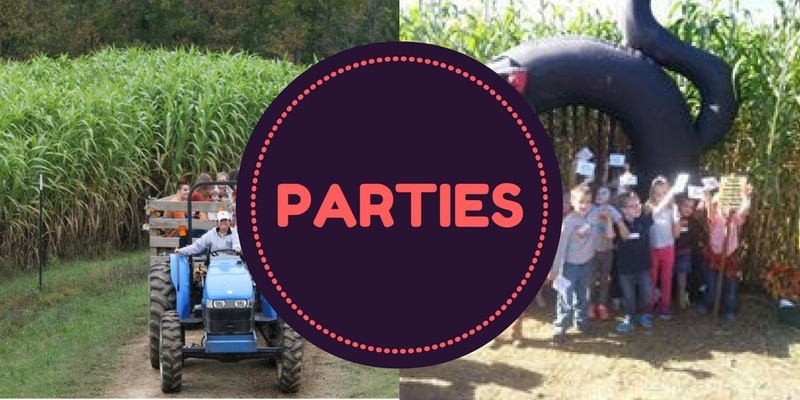 Please download our Party Brochure for more information about our premade packages. You can also call us at 704-562-4021 if you have any questions. Outside food and drinks are allowed (except for pizza) or you can choose from what we sell at the farm. We have funnel cakes, snack items, and drinks on site. We now offer pizza for group outings at $14/pizza for an extra large one topping or cheese pizza. Please download our Party Rental Agreement. This will need to be signed and either mailed or emailed to us in order to keep your reservation. Tent Rentals for parties are only available Sat or Sun. Please call us at 704-562-4021 if other arrangements need to be made. Only spaces marked “Available” can be booked. Spaces marked “NOT AVAILABLE” are already taken. Spaces will change on a daily basis during April, May, September, and October. These are busy months for us and spaces go quickly.